As I write this, it's snowy and 7 degrees with a "feels like" of -8 degrees. Outside. Inside, here in my study where I write, it's a warm and cozy 73 degrees thanks in large part to the HeatGenius Ceramic Heater from Honeywell I received free for review. The "in my study" part is important as it's not 73 degrees in the rest of my house. Doesn't need to be 73 degrees in the rest of my house because I'll be spending most of today right here, writing in my study. And the HeatGenius efficiently warms this space without me wasting energy on warming up every other space of my home, too, in order to be cozy and comfy while working. Better yet: With the HeatGenius Ceramic Heater, I need not even heat up the entire room I'm in as one of the features is the ability to choose between "Whole Room Heat" settings or "Personal Heat Settings." I've been setting it on "whole room" in order to keep my cats and dog warm as they hang out with me, but when they're not around, I can set the heat to warm my personal space — including a "Floor Area Heat" option for times it's just the tootsies that need heating. The personal space settings make the HeatGenius ideal for folks who work in an office setting. The "Quiet Mode" would keep the heater fan from annoying nearby cubicle mates. • A four-way tip-over switch that disables the heater if it is accidentally tipped in any direction. • A high-temperature safety control that prevents overheating. • The heater is equipped with a thermal cut-off fuse that permanently shuts down the heater should it operate at a higher than normal temperature. • The heater was created using high-quality, heat-resistant plastics and has a Cool Touch handle. Which leads to another thing I really like about the HeatGenius, which is the fact it's light and easy to take from room to room. The compact yet powerful appliance is just 10.2 by 5.6 by 17.3 inches. No space hog, for sure. More specifications: The HeatGenius Ceramic Heater from Honeywell (Model HCE840B/HCE840BC) has 12.5 amps; 120V, 60Hz unit voltage; max watts of 1575; and max BTUs of 5118. 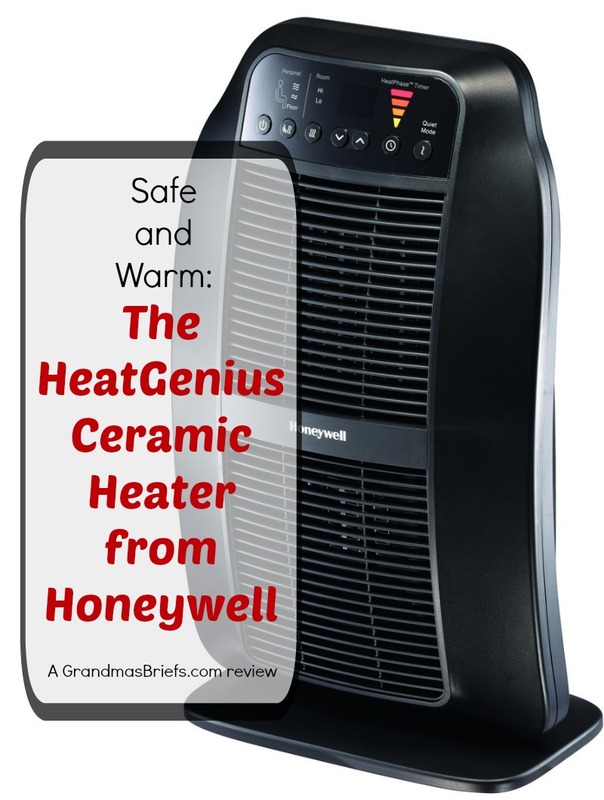 The HeatGenius Ceramic Heater from Honeywell has a suggested MSRP of $69.99 and can be purchased from Amazon, Best Buy, Target, Home Depot, Walmart and more. To find out more, visit HoneywellPluggedIn.com.